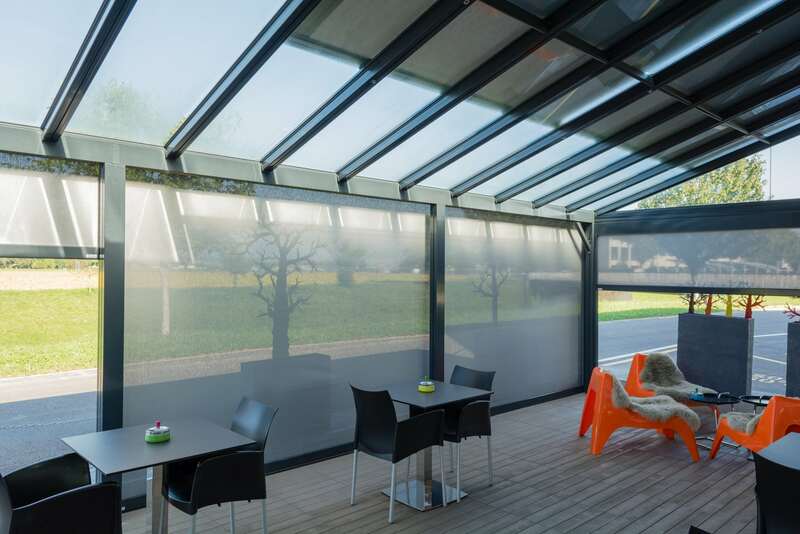 Solar Screens & Shades Calgary | Patio Screen | Awnings And More Inc. Window and facade screen awnings also allow you to regulate the amount of light that shines directly into your rooms. 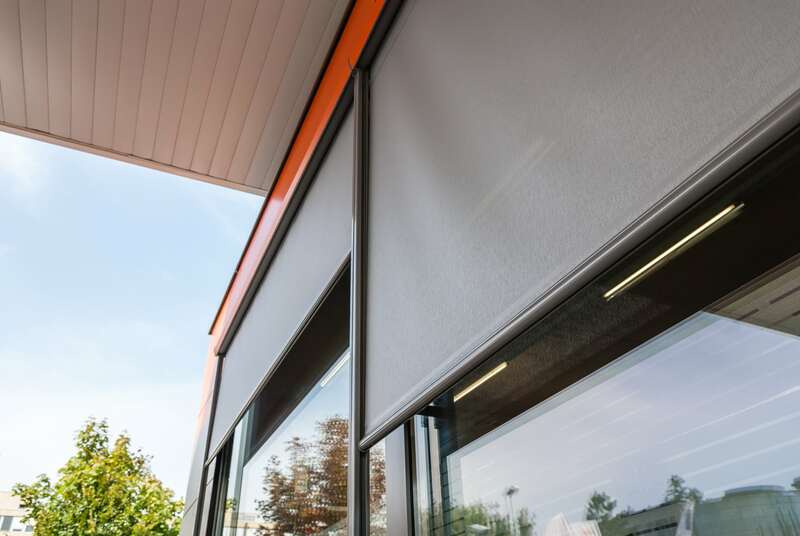 The insulating air cushion between the awning fabric and the window provides effective heat protection. Because of this, facade shading is often included in the architecture as a design feature. Vertical awnings or screens can come with or without a protective box. You can choose between lateral guides with stainless steel cables, with chrome steel rod guides, or with aluminium guide rails. The slim design, together with its sophisticated technical features, allows the awning to be installed in almost any building. The protective box provides additional comfort. The protective box is held by guide rails and is therefore self-supporting. The awning may be installed in a niche for direct integration into a facade or positioned on the facade front. Its compact construction and elegant box make it suitable for balconies and conservatories as well as serving as a design element in modern facade architecture. The SIR System (Soft Integrated Retaining System), which works like a zip, guarantees maximum stability of the internal fabric guidance system. VENTOSOL awnings withstands strong winds (75 mph*). The elegant, slightly rounded box of the VENTOSOL awning is self supporting. Various fixing options allow the structure to be fixed to walls or in recesses.